What: Colorado Classic cycling races. When and where: Vail’s stages are a circuit race Thursday, Aug. 16, and a time trial up Vail Pass on Friday, Aug. 17. Street, parking and other closures will happen from 9 a.m. to 3 p.m. each day. • 9 to 10:30 a.m. Monday, Aug. 6 — Coffee with a Cop, Yetis Grind, Vail Village. • 11:30 a.m. to 1 p.m. Tuesday, Aug. 7 — Community Picnic, Donovan Pavilion, West Vail. • 5 to 7 p.m. Tuesday, Aug. 7 — National Night Out with Vail Police, Main Vail Fire Station, Vail Village. • 5 to 6 p.m. Wednesday, Aug. 8 — Lionshead Open House, Lionshead Welcome Center. For more information, go to wwwcoloradoclassicvail.com. For specific questions about neighborhood impacts, call Vail Police Code Enforcement Officer Mike Chon at 970-306-2466 or email mchon@vailgov.com. Vail is no stranger to big events. The first two stages of this year’s Colorado Classic cycling races qualify as big events. But unlike many of the town’s big events, the traffic, parking and transit impacts will be felt throughout town. The greatest effects will be felt during the classic’s first stage, a circuit race set for Thursday, Aug. 16. That day, about two-thirds of town on the south side of Interstate 70 will essentially be shut down from 9 a.m. to 3 p.m. In this case, “shut down” means just that. With the exception of police, fire and ambulance services, no vehicles will be allowed on any town streets between the Vail Golf Club and the Matterhorn neighborhood. Basically, if your vehicle doesn’t have an emergency services light bar on the roof, then it’s not moving in that part of town. That closure will apply to the Lionshead Village parking structure, which will be closed for that six-hour period. 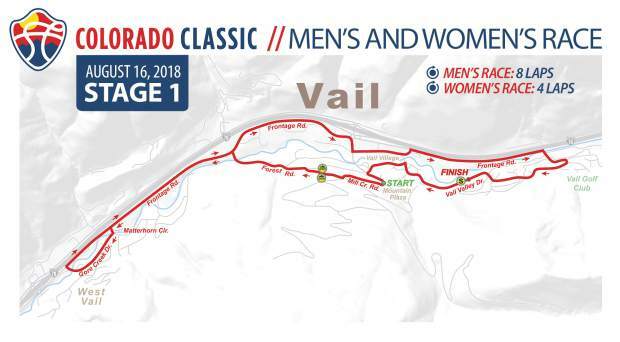 If your vehicle is in the structure before 9 a.m., then it can’t leave until after 3 p.m. Vail Transportation Manager Mike Rose said the only exception will be for Vail Health Hospital traffic, but that must be timed between laps of the circuit race. The Vail Village parking structure will be open, but Rose said he expects that structure to fill quickly. Once the structures fill or are closed, there will be limits on where vehicles can park on the town’s frontage roads. There will be signs and cones marking parking zones. On Friday, Aug. 17, a time trial will run from Mountain Plaza in Vail Village up Vail Pass. The street closures won’t be as extensive, but the closure period will be the same: 9 a.m. to 3 p.m.
Ford Park will also be closed, since that’s where the cycling teams’ staging area will be located. The race routes took a lot of time to finalize. Henninger said perhaps the biggest concession on the town’s part was agreeing to close down the Lionshead Village structure for the circuit race. Henninger said some business owners he’s talked to have been “a little nervous” about the six-hour closure, but said he’s confident the event itself will erase that anxiety. Like other organizations in the valley, the Vail Police Department is familiar with hosting big events. But that doesn’t mean those events share much beyond size. Still, Henninger said, well-established partnerships between private and public groups allow events to run smoothly. After all the planning, the circuit race route has been mostly set for some time — the time trial course has been used often in the past. The main change in both routes is moving the start/finish area for both the circuit race and the time trial from Solaris Plaza to Mountain Plaza, near Gondola One. That area has more space for both teams and spectators. For the time trial, spectators will probably line the course as they always do. During the circuit race, spectators will have more room to spread out, although once fans have a spot, they’re likely to stay there. 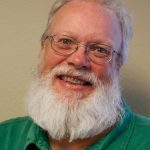 Tom Boyd, of the Vail Valley Foundation, the local race organizing group, said it’s going to be essential to keep people off the streets during the racing on the 8.8-mile course. The women will ride four laps, with the men riding eight laps on the circuit. All those racers will be flying. Boyd said the fastest racers will hit between 30 and 50 mph on parts of the course. Beyond attracting fans to town, Boyd said the Colorado Classic stages will provide great national and international exposure for the town. The races will be broadcast live on Eurosport 1 and 2, Europe’s most-watched sports channels. Altitude Sports and Entertainment — which is on cable and satellite systems in Colorado, Utah, Kansas, Montana, Nebraska, New Mexico, South Dakota and Wyoming — will also carry the races live. The races will also be live-streamed on Facebook Live, YouTube Live and on coloradoclassic.com. While Vail is expected to be full of race fans, Boyd noted that people in town for rafting, hiking or other activities need to plan ahead. “Make sure you’re leaving before (9 a.m.),” he said. Advance planning will be essential for local residents coming into town for the races. There will be an express bus coming from Edwards into Vail both days, Boyd said. Visitors are encouraged to either ride a bus or ride their bikes into town. The main spectator zones will be at Mountain Plaza, Donovan Pavilion and other areas.